The 2nd Department of Physiology was for many years a focus of vision physiology, established by the former Head of Department, Koichi Motokawa (1903-1971), who rose to become President of Tohoku University and an expert in human colour and pattern vision (Motokawa, 1970; K. Tasaki, 1971). 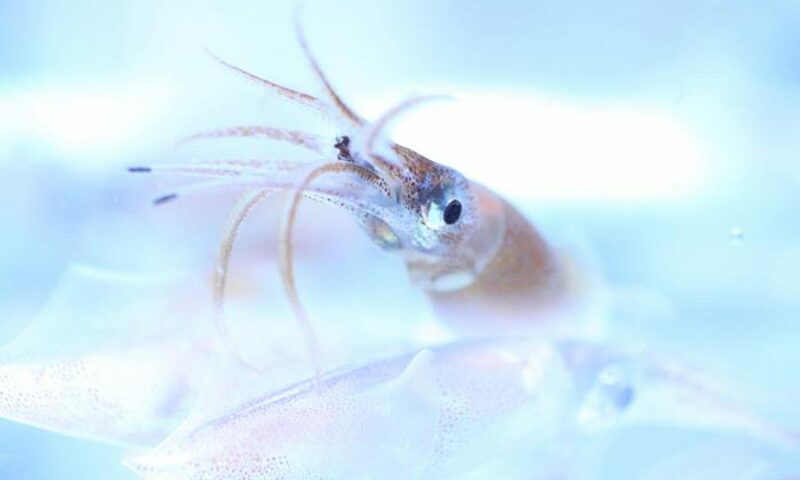 Work on cephalopod vision was begun by Kyoji Tasaki, working under Motokawa’s supervision, although his first publication was with his more widely known relative, Ichiji (I. Tasaki et al. 1948). Ichiji Tasaki (1910-2009) was one of the most distinguished researchers ever to work at NIH (van Hollen, 2008; Anonymous, 2009; Hikosaka, 2009), and a contemporary of Hodgkin, Huxley & J.Z. Young. It was Ichiji who discovered the saltatory behaviour of impulses along the nodes of Ranvier of myelinated nerve fibres (I. Tasaki & Mizuguchi, 1948). Also among his 268 academic papers (URL below: Anonymous, undated) are reports of ingenious measurements of the minute mechanical movements and heat produced by the squid retina in response to light stimuli (Tasaki & Nakaye, 1984, 1985). Kyoji Tasaki’s work on cephalopods began with three papers on the octopus electroretinogram (ERG) in 1963 (K. Tasaki et al., 1963a, b, c), followed by work on other aspects of the electrophysiology of the octopus retina (Norton et al., 1965; Karita & Tasaki, 1973; Tsukahara et al., 1973; Tasaki et al., 1982). His most important papers, though, were the first to demonstrate physiologically the polarization detecting abilities of the cephalopod retina (Tasaki & Karita, 1966a, b; Tasaki & Tsukahara, 1972). His research group also demonstrated the physiological importance of high levels of oxygen in the normal functioning of cephalopods, particularly in the visual system (Ito et al., 1973). Another member of the group is Hitoshi Suzuki, a former Associate Professor under Kyoji Tasaki, currently Professor at Ishinomaki Senshu University. Hitoshi was trained as a physicist but also did some work on the octopus visual system (H. Suzuki & Tasaki, 1983). Suzuki’s most important work, though, was probably in demonstrating plant movements, including leaf and stem expansion and contraction at the order of a few seconds imposed on circadian and other changes (phenomena which have yet to be explained; see, for example, Yoda et al., 2000). Back row, right: Hitoshi Suzuki. Front row, left: Yasuo Tsukahara. Front row, right: Kyoji Tasaki. Probably the most influential member of the group, though, in terms of original contributions to vision physiology, is Yasuo Tsukahara himself. Yasuo (preceding Hitoshi as Associate Professor before moving to his own Chair in the Graduate School of Information Sciences) spent a couple of years in Australia, at Adrian Horridge’s research group in Canberra University. There, with his outstanding techniques in intracellular recording, he had a great influence on his contemporary post-docs. who (such as Simon Laughlin and Roger Hardie in the UK) would later become established researchers in the electrophysiology of vision in many parts of the world, although mostly involving arthropods, particularly insects (from which it is much easier to obtain intracellular recordings). He was one of the first researchers to demonstrate individual photon detection events (so-called “photon bumps”) in intracellular recordings. Yasuo also discovered a unique phenomenon in the visual cell of the cephalopod retina: evidence for two different kinds of impulse generator site within the same cell (one with an excitatory and the other an inhibitory post-synaptic effect). This last work proved so controversial that reviewers have refused to believe the results (even though there are hints also at the structural level; Yamamoto et al., 1965). It has been reported in Japanese (as part of a paper on lateral inhibition in the retina of various molluscs; Tsukahara, 1989), and eventually found its way into a review of cephalopod vision published in English (Gleadall & Shashar, 2004). One of the problems with this research is in obtaining sufficient repetitions of acceptable recordings because of the long, delicate visual cells of cephalopods, which quickly lose their normal structure when the eye is opened to obtain recordings. In fact, it is far easier to record from single visual cells in the fruit fly Drosophila than from cephalopod retinal cells. Apart from collaborating in many of the studies mentioned above, other projects on cephalopods involving Yasuo Tsukahara include work on the photochemistry of cephalopod rhodopsin (e.g. Ebina et al., 1975), a study of firefly squid photophores (Kawahara et al., 1998) and octopus retinal screening pigment migration (Gleadall et al., 1993). He was also the leader of a unit working at Riken (the Japanese governmental scientific research agency) in Sendai, which (before disbanding after its preordained life of just 7 years) produced a number of excellent papers, some of which included early contributions in collaboration with researchers from another major group of Japanese cephalopod vision researchers, at Osaka University (see, for example, Narita et al. 1999; T. Suzuki et al., 1995, 1999). It was good to see this group together again for the evening, and hopefully they will be able to meet on other future occasions while all remain fit and healthy. Although now 90 years of age, Kyoji Tasaki comes from a family of people living a very long life. His mother, who I once met in person, was well past 100 when she died, and Ichiji (who also I was privileged to meet) passed on at 98, only as the result of an accidental fall. Since retirement, both Kyoji Tasaki and Yasuo Tsukahara have put their medical licences to full use and are still both working a 4-day week, although mostly in advisory and administrative capacities. On that note, I wish all cephalopod researchers reading this a long, successful, healthy and happy life. Anonymous (2009). Biophysicist Tasaki leaves extraordinary scientific legacy. NIH Record 61 (4) Feb. 20, 2009 (6th article on page). nihrecord.nih.gov/newsletters/2009/02_20_2009/milestones.htm (viewed 1 Sept., 2014). Anonymous (undated). Bibliography: Ichiji Tasaki, M.D. stbb.nichd.nih.gov/tasaki.html (accessed 1 Sept., 2014). Ebina, Y., Nagasawa, N. and Tsukahara, Y. (1975). An intermediate in the photolytic process of extracted squid rhodopsin. Japanese Journal of Physiology 25, 217-226. Gleadall, I.G., Ohtsu, K., Gleadall, E. & Tsukahara, Y. (1993). Screening-pigment migration in the octopus retina includes control by dopaminergic efferents. Journal of Experimental Biology 185, 1-16. Gleadall, I.G. & Shashar, N. (2004). An octopus’s garden: visual world and vision in cephalopods. In Complex worlds from simpler nervous systems, (ed. F.R. Prete), pp. 269-307. Cambridge, USA: MIT Press. Hollen, C. van (2008). Tribute to Dr. Ichiji Tasaki. vanhollen.house.gov/media-center/speeches/tribute-to-dr-ichiji-tasaki (viewed 1 Sept., 2014). Ito, S., Karita, K., Tsukahara, Y. & Tasaki, K. (1973). Electrical activity of perfused and freely swimming squids as compared with in vitro responses. Tohoku Journal of Experimental Medicine 109, 223-233. Karita, K. & Tasaki, K. (1973). Octopus optic nerve responses. Tohoku Journal of Experimental Medicine 110, 311-318. Kawahara, M., Gleadall, I.G. & Tsukahara, Y. (1998). A note on the fibre-optic light-guides in the eye photophores of Watasenia scintillans. South African Journal of Marine Science 20, 123-127. Motokawa, K. (1970). Physiology of color and pattern vision. Berlin: Springer-Verlag. Narita, K., Suzuki, T., Ohtsu, K., Seidou, M., Kito, Y. & Tsukahara, Y. (1999). Structural and functional differences of two forms of GTP-binding protein, Gq, in the cephalopod retina. Comparative Biochemistry and Physiology B 123, 319-327. Norton, A.C., Fukada, Y., Motokawa, K. & Tasaki, K. (1965). An investigation of the lateral spread of potentials in the octopus retina. Vision Research 5, 253-267. Suzuki, H. & Tasaki, K. (1983). Inhibitory retinal efferents from dopaminergic cells in the optic lobe of the octopus. Vision Research 23, 451-457. Suzuki, T., Narita, K., Terakita, A., Takai, E., Nagai, K., Kito, Y. & Tsukahara, Y. (1999). Regulation of squid visual phospholipase C by activated G-protein alpha. Comparative Biochemistry and Physiology A 122, 369-374. Suzuki, T., Terakita, A., Narita, K., Nagai, K., Tsukahara, Y. & Kito, Y. (1995). Squid photoreceptor phospholipase C is stimulated by membrane Gqa but not by soluble Gqa. Febs Letters 377, 333-337. Tasaki, I. & Mizuguchi, K. (1948). Response of single Ranvier nodes to electrical stimuli. Journal of Neurophysiology 11, 295-303. Tasaki, I., Mizuguchi, K. & Tasaki, K. (1948). Modification of the electric response of a single Ranvier node by narcosis, refractoriness and polarization. Journal of Neurophysiology 11, 305-310. Tasaki, I. & Nakaye, T. (1984). Rapid mechanical responses of the dark-adapted squid retina to light pulses. Science 223, 411-413. Tasaki, I. & Nakaye, T. (1985). Heat generated by the dark-adapted squid retina in response to light pulses. Science 227, 654-655. Tasaki, K. (1971). Koiti Motokawa (1903-1971). Vision Research 11 (12), 1369-1372. Tasaki, K. & Karita, K. (1966a). Intraretinal discrimination of horizontal and vertical planes of polarized light by octopus. Nature 209, 934-935. Tasaki, K. & Karita, K. (1966b). Discrimination of horizontal and vertical planes of polarized light by the cephalopod retina. Japanese Journal of Physiology 16, 205-216. Tasaki, K., Norton, A.C. & Fukada, Y. (1963a). Regional and directional differences in the lateral spread of retinal potentials in the octopus. Nature 198, 1206-1208. Tasaki, K., Norton, A.C., Fukada, Y. & Motokawa, K. (1963b). Further studies on the dual nature of the octopus ERG. Tohoku Journal of Experimental Medicine 80, 75-88. Tasaki, K., Oikawa, T. & Norton, A.C. (1963c). The dual nature of the octopus electroretinogram. Vision Research 3, 61-73. Tasaki, K. & Tsukahara, Y. (1972). Octopus retina as an analyzer for polarized light. Proceedings of the Australian Physiological and Pharmacological Society 3, 118. Tasaki, K., Tsukahara, Y., Suzuki, H. & Nakaye, T. (1982). Two types of inhibition in the octopus retina. In Neurotransmitters in the retina and the visual centers: Biomedical Research Supplement, Dec. 1982, eds. A. Kaneko, N. Tsukahara and K. Uchizono), pp. 41-44. Tokyo: Biomedical Research Foundation. Tsukahara, Y. (1989). Shikaku masshō soku yokusei kikō [Mechanisms of peripheral lateral inhibition in vision]. Dōbutsu Seiri [Animal Physiology] Tokyo 6, 58-65. Tsukahara, Y., Tamai, M. & Tasaki, K. (1973). Oscillatory potentials of the octopus retina. Proceedings of the Japan Academy 49, 57-62. Tsukahara, Y. & Tasaki, K. (1972). Dark recovery of ERP in isolated octopus retina. Tohoku Journal of Experimental Medicine 108, 97-98. Yamamoto, T., Tasaki, K., Sugawara, Y. & Tonosaki, A. (1965). Fine structure of the octopus retina. Journal of Cell Biology 25, 345-359. Yoda, K., Suzuki, M., & Suzuki, H. (2000). Development and evaluation of a new type of opto-electronic dendrometer. IAWA Journal 21 (4), 425-434.